In this challenging and entertaining audio program, internationally recognized Jungian teacher and theorist James Hillman, Ph.D., presents the themes he writes about in his well-known book, The Soul's Code. The fantasy of the family remains the dominating theme of psychotherapy and psychotheory. 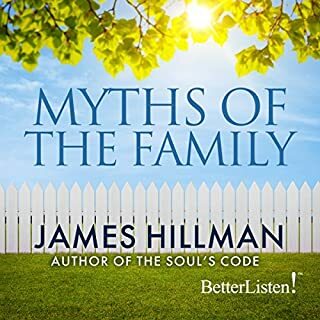 In this recording, Dr. Hillman brings his critical eye, his wide eye - and often his absurd humor - to bear upon the myths that operate in our thoughts about family. 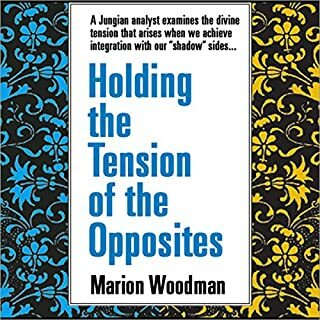 Life's great challenge, Marion Woodward says on Holding the Tension of Opposites, is in developing an integration between the spirit and body. From this integration there arises a divine "tension" allowing for a new consciousness to unfold. Marion Woodman's language is so clear. A classic in the Jungian literature, written by one of Jung's most distinguished collaborators. In Dreams: Language of the Soul, Marion Woodman turns her attention to the world of dreams and their collective patterns and interpretations. 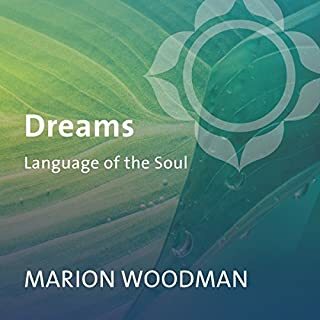 Acclaimed for her work as an author and Jungian analyst specializing in feminine psychology, Woodman describes how the very destiny of the soul is directed through dreams. In rich detail, she helps us explore the images, myths, and metaphors that express our collective concerns and grasp how dreams allow us to navigate and fathom the future. Considered to be the world’s foremost post-Jungian thinker, James Hillman is known as the founder of archetypal psychology and the author of more than 20 books, including the bestselling title The Soul’s Code. 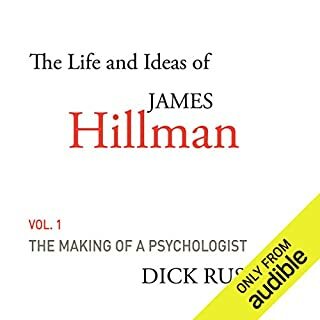 In The Making of a Psychologist, we follow Hillman from his youth in the heyday of Atlantic City, through post-war Paris and Dublin, travels in Africa and Kashmir, and onward to Zurich and the Jung Institute, which appointed him its first director of studies in 1960. 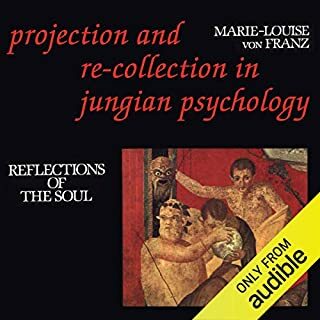 More than a mere overview, the book offers listeners a strong grounding in the basic principles of Jung's analytical psychology in addition to illuminating insights. 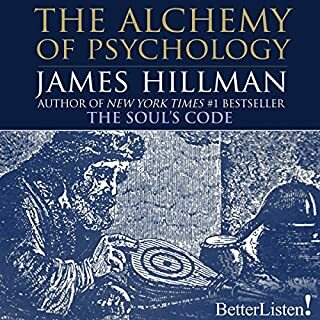 James Hillman is a psychologist and author of The Soul's Code, recently at the top of the New York Times bestseller list. His essay "Going Bugs" is a classic exposition of the meaning of bugs in the human psyche. Hillman examines the role that bugs - insects and creepy-crawlies - play in dreams and how human reaction to them is symptomatic of larger concerns about animals and the natural world. In The Archetypal Imagination, Hollis offers a lyrical Jungian appreciation of the archetypal imagination. He argues that without the human mind's ability to form energy-filled images that link us to worlds beyond our rational and emotional capacities, we would have neither culture nor spirituality. Drawing upon the work of poets and philosophers, Hollis shows the importance of depth experience, meaning, and connection to an "other" world. In this thought-provoking recording, internationally recognized Jungian teacher and theorist James Hillman, Ph.D., author of The Soul's Code and Re-Visioning Psychology, proposes the 21st Century's "new urbanism", one that integrates city and nature into a harmonious whole. From Robert A. Johnson, the best-selling author of Transformation, Owning Your Own Shadow, and the groundbreaking works He, She, and We, comes a practical four-step approach to using dreams and the imagination for a journey of inner transformation. In Inner Work, the renowned Jungian analyst offers a powerful and direct way to approach the inner world of the unconscious, often resulting in a central transformative experience. Profound material, and great narration! Have you ever looked at your career, your relationships, or your role in life and wondered, "Is this why I’m really here?” If so, then you are ready for your “midlife crisis" - the pivotal time when you have the opportunity to become the person your soul seeks to be. 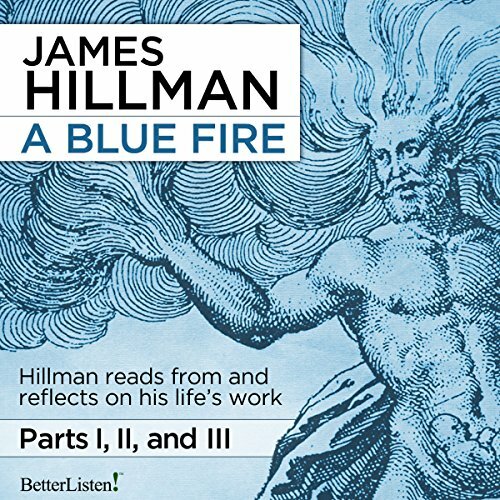 James Hillman's A Blue Fire burns through the entire range of his life's work in this lecture. Recorded during a seminar weekend in Rowe, Massachusetts, this talk is a conflagration of ideas. The result is Hillman revisions himself, his work, and archetypal psychology. ©1997 James Hillman (P)2012 BetterListen!LLC , all rights reserved. This book is different from the hard copy of it. This is actual audio of James Hillman rain by from his work and discussing it. This was actually my first exposure to Hillman, and I don't know why it took me so long to hear about him. I am so stimulated by his unique perspective and expression. He's one of those thinkers whose words and ideas can be beautiful, as well as immediately change the way that the world looks once he's spoken. I consider this audiobook a true treasure. I immediately bought the Kindle too, and they are both full of notes. The quality varies, and you cannot always hear what the audience says, but it doesn't detract from just how incredible it is to sit in on this experience. I have found that a great book can be ruined by a bad narrator, but Hillman is brilliant as himself. I am so grateful for this inspiring entry into Hillman. I am a latecomer when it comes to James Hillman, and I keep reading more daily. Anyone who is not aware of James Hillman's clear and crisp rendering of the psychology of Carl Jung will be delighted by these excerpts from his writings. As Hillman gets older his insights grow more powerful and inspiring. I reread this book several times and found more of Carl Jung's ideas illuminated by his famous disciple. I don't find James Hillman very psychologically useful but he can from time to time be amusing. The worst part of this book, however, was the terrible sound quality! Some of the discussions went on too long. I would like to have heard more from Hillman and less of the general discussions. Hillman has a wonderful way of communicating his experience and knowledge. He addresses the the collective and individual psyche and speculates our current relationship to it, it to us and it to one another. this was a good way to get into some key ideas presented by Hillman, to help you decide if he is "of your tree" or not. really enjoyable for the most part, and important ideas discussed, particularly the re-imagining of therapy to include eccentricity, beauty and a recognition that the problems we face cannot be personalised away (that is we must meet the world, get political, realise we are in community always).